The screening for the film "Racing Extinction" showed for the first time on December 2nd on Discovery Channel. 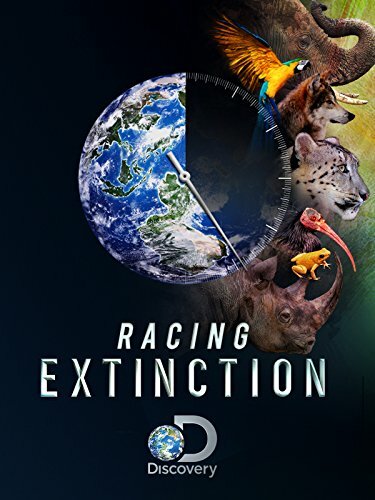 This film showed heart breaking and breathtaking footage that exposed the world issue of endangered species, climate change, and mass extinction. Countless endangered animals are being threatened into extinction because of the change in the climate. With all of these tragic problems in our world, we also need to remember that there are solutions. The preservation for our planet's oceans, rivers, and mountains is an important role we need to play. It is our responsibility to defend and protect the land, ocean, and animals. If we let these beautiful animals become extinct or allow the world to collect with an abundant amount of trash, the future generations to come will never forgive us. With the over emission of carbon dioxide (CO2) that humans are producing, the world is changing. The ocean absorbs this CO2 because of microscopic plankton. As more CO2 goes into the ocean, it becomes more acidic. As the atmosphere absorbs the CO2 that the ocean doesn't, it causes our planet to become warmer. When the atmosphere gets warmer, so does the ocean. The extreme change in temperature and acidity causes a negative effect on the marine organisms that live in the ocean. For example, the algae that lives in the coral's structure uses photosynthesis to feed it and keep it alive. When coral gets stressed out (from warm water levels or high acidity levels), it kicks out the algae that live in it. If the coral stays without algae long enough, it will die. When coral dies it disorders the whole food chain. Coral is a main food source for 25% of marine life in the ocean. That marine life feeds carnivorous fish and us. When there is an unbalance in the food chain in the ocean, it also affects us by causing a decrease in fish and jobs. It is important to keep our ecosystem balanced and not let the mass extinction and killing of any type of animal because every living thing on this planet acts as a web. We are connected. If you take out one thing, the whole web starts to fail. The massive extinction in our oceans from overfishing and illegal trade of endangered species are causing vast amounts of deaths in our oceans and will soon cause life to decline everywhere. The motto of the film is #StartWith1Thing. This hashtag challenges you to change one thing in your everyday life that can help better the world. This includes the way you live, eat, and drive. Little things that we can change includes not eating meat for one meal of the day, drinking tap water instead of bottled water, or not using your car for a day. If we come together as one with small actions, we could make a huge impact on the Earth. This impact may save our planet from losing it's precious animals.